Ensure your child is eating properly! Ensuring that children eat properly at every meal is important as it affects their growth and wellbeing. However, it can be tricky when they are fussy eaters. Debbie Evans, Founder and Clinical Director of Sydney’s most sought after children’s therapy service, Therapies for Kids, shares her top five tips and tricks so that your kids will be eating right in no time. 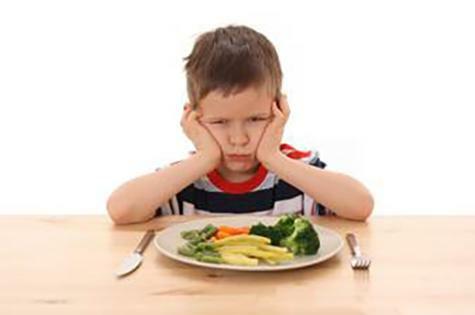 “Challenge your child to eat a different coloured food each day. Utilise a rainbow placement or chart on the fridge to track the variety of foods they consume. This challenge will facilitate discussion about how the food looks, its colour and how it feels. Encourage children to make their own food choices by selecting the colour of food and assisting with the preparation of their food choices. Therapies for Kids is Sydney’s most sought after children’s therapy service, located in the inner west suburbs of Annandale and specialises in speech pathology, occupational therapy and physiotherapy. Founded by Debbie Evans, the centre is changing the way children with all disabilities learn and grow with its integrated intensive programs and innovative equipment. They use fun and effective treatments that involve the latest specialised gross motor and sensory equipment, such as ‘GoBabyGo Car’, ‘GoBabyGo Harness System’, ‘Spider Cage’ and ‘Fizzy Gym’, to help their young clients develop with ease. Therapies for Kids is for kids of all abilities.